Cannot believe this is Fussy Fancy Friday Challenge #111. The theme is 'All about Travel' it is being sponsored by Freshly Brewed Designs. 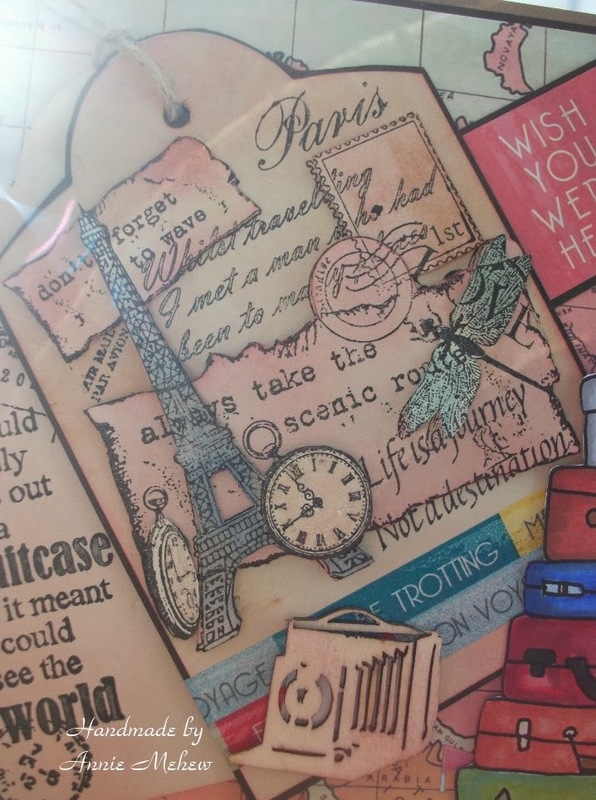 I love this Paris Collage stamp by Clarity Stamps, I decided to stamp it onto a tag, I then stamped it twice more so that I could decoupage it. 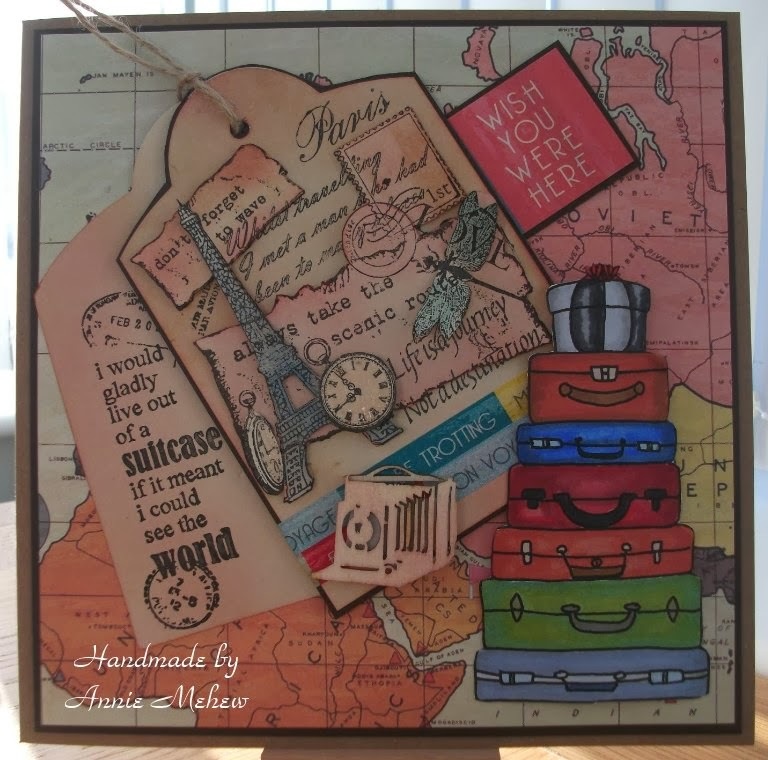 The other stamp I wanted to use was a Stampendous stamp 'I would gladly live out of a suitcase if it meant I could see the world'. I matted & layered a map background paper onto some dark brown card and then onto a craft card blank. I played about with positioning the 2 tags and decided it needed something extra ... that's when I decided to use Freshly Brewed Designs new 'Luggage Tower' digi. http://fussyandfancychallenge.blogspot.co.uk/ and follow the instructions. The Fussy & Fancy girls love looking at your entries and leaving you comments and then the host for this months challenge .... that's our lovely Jo this month will have the difficult task of selecting her Top 5 entries. Stunning Annie, great stamp , digi image and layout....perfect inspiration for our challenge. Wow, Annie! Your card is FANTASTIC! I love every stamp and detail that you added! It's all perfectly laid out with a wonderful colour combination! The end result is BEAUTIFUL! This is just BEAUTIFUL Annie!!! 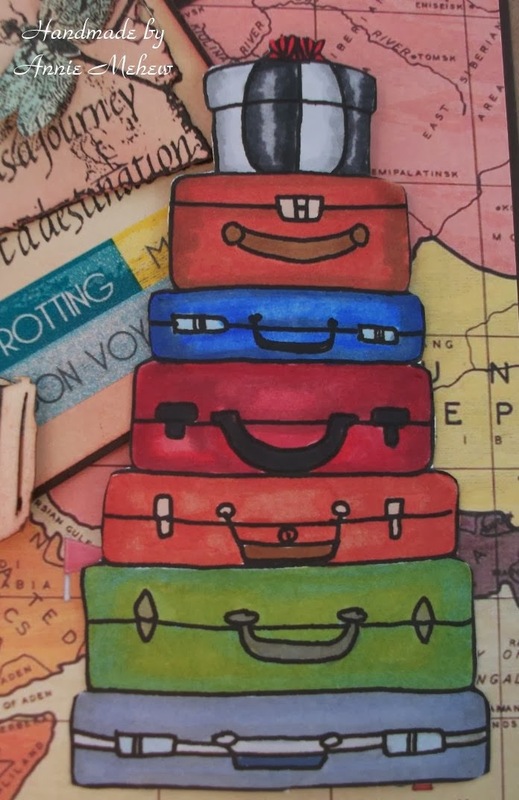 You've created such beautiful tags to showcase your "Luggage Tower"!! I too LOVE the colours!!! Have a wonderful weekend Annie! !